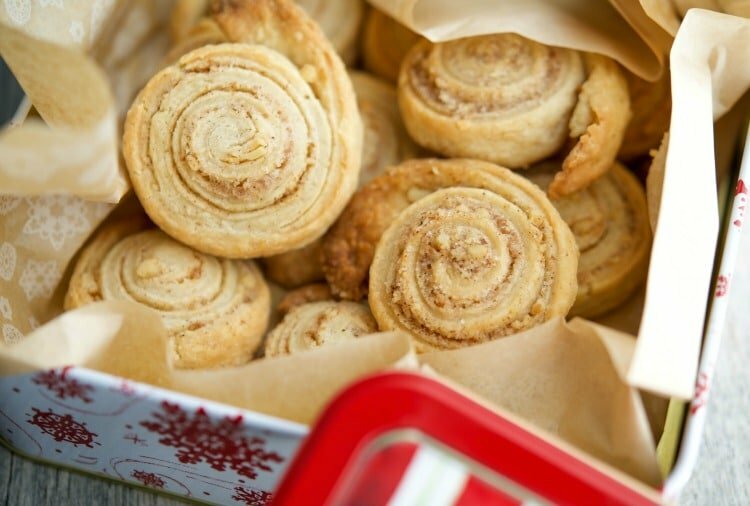 These Cinnamon Walnut Pinwheel Cookies are rich, buttery and simple to make. A must add to your holiday baking list! 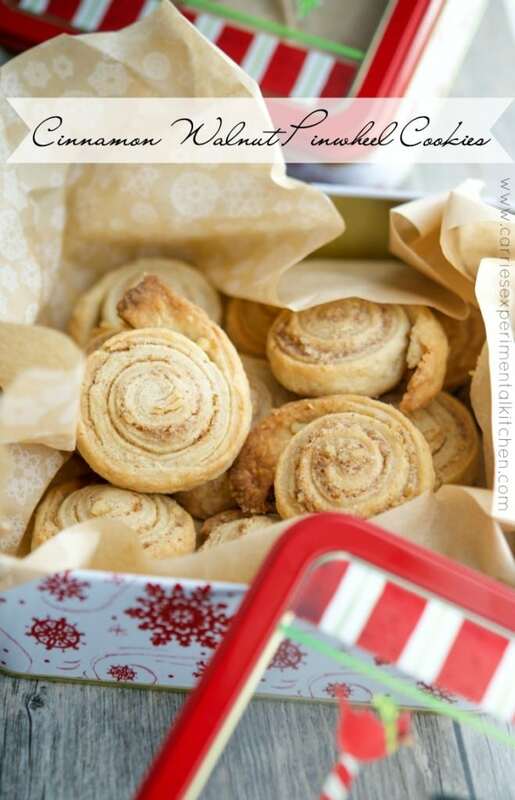 This year I decided to join The Great Food Blogger Cookie Swap and make these Cinnamon Walnut Pinwheel Cookies. 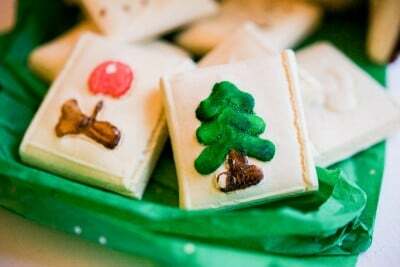 The Cookie Swap is in it’s 5th year and is hosted by Love & Olive Oil and The Little Kitchen. 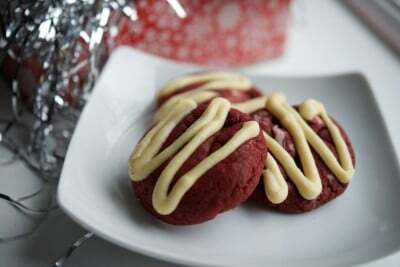 In the swap, bloggers from around the world make 1 dozen homemade cookies and share them with each other; while at the same time raising money and awareness for Cookies for Kids’ Cancer. 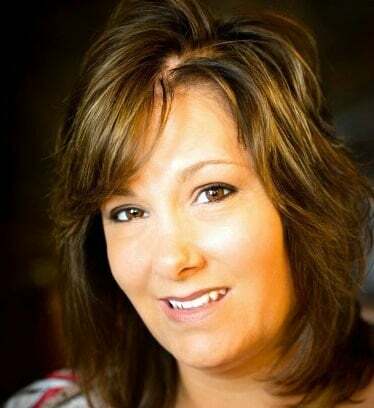 Cookies for Kids’ Cancer is a national non-profit organization committed to funding new therapies used in the fight against pediatric cancer, which claims the lives of more children in the US than any other disease. By participating in this cookie swap we are not only contributing to the food blogger community, but also supporting a great cause. I was very impressed with the cookies I received from my fellow food blogging friends and let me just say, they didn’t last long in this house. My family and I loved each and every one of them. 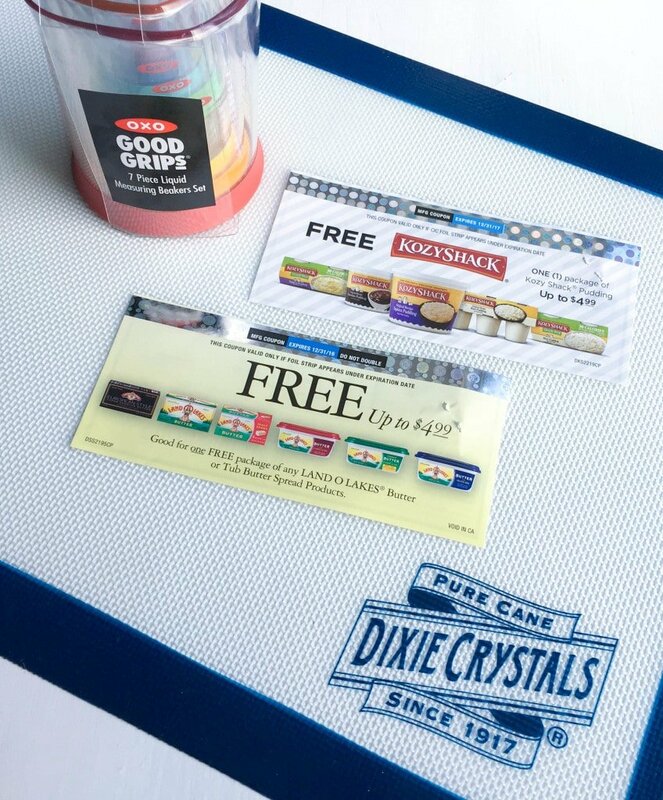 Not only did we get to make and taste some fabulous cookies, we received some amazing swag to help make our baking a little easier. A huge thank you to our sponsors Dixie Crystals, Land O’ Lakes and OXO who will be matching our donations (up to $3000) this year. 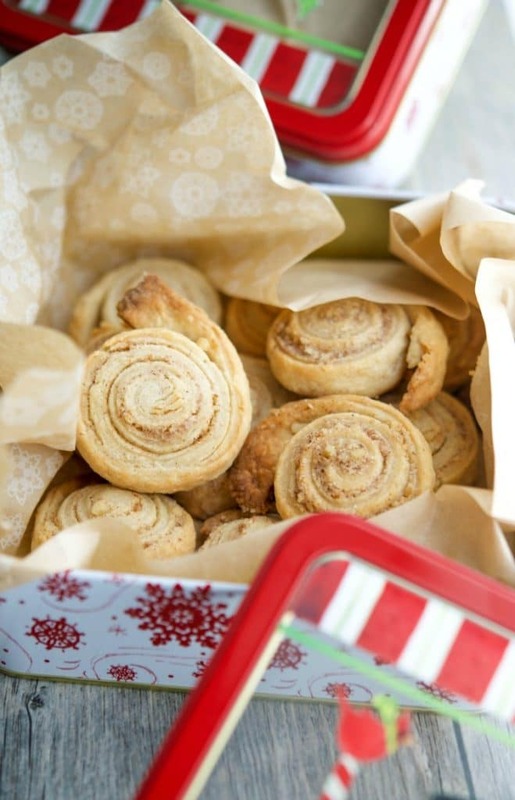 And now for these Cinnamon Walnut Pinwheel Cookies. 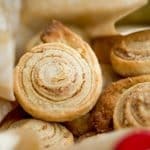 These cookies use the same dough as a Rugelach cookie; which is a cream cheese cookie filled with jams, nuts or raisins. However, instead of shaping them into crescents, I rolled the dough into a rectangle, topped the dough with cinnamon sugar and chopped walnuts; then rolled it tightly and cut them into disks forming a pinwheel. I did start off by trying to make Rugelach, but I must have cut the triangles too small because the crescents didn’t keep their shape nicely when baked. So I decided to roll and slice the dough instead. This way was much less time consuming than forming the crescents and the taste was rich and buttery just like the classic Rugelach cookie. I’m so glad I participated in The Great Food Blogger Cookie Swap this year. I hope Lulu the Baker, Taste Cook Sip and Confessions of a Cooking Diva liked these cookies as much as we did and can’t wait to see all of the new cookie recipes through this swap. I think they’re are going to be over 400 of them this year! ~Enjoy and Happy Baking! 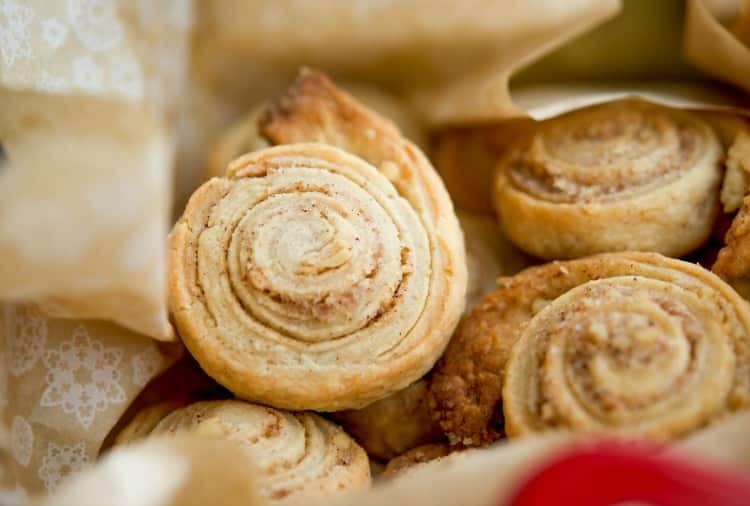 These Cinnamon Walnut Pinwheel Cookies are rich, buttery and simple to make. Beat butter and cream cheese together in a large bowl with an electric mixer until well blended; then add the salt and gradually add the flour on low speed until the dough comes together. 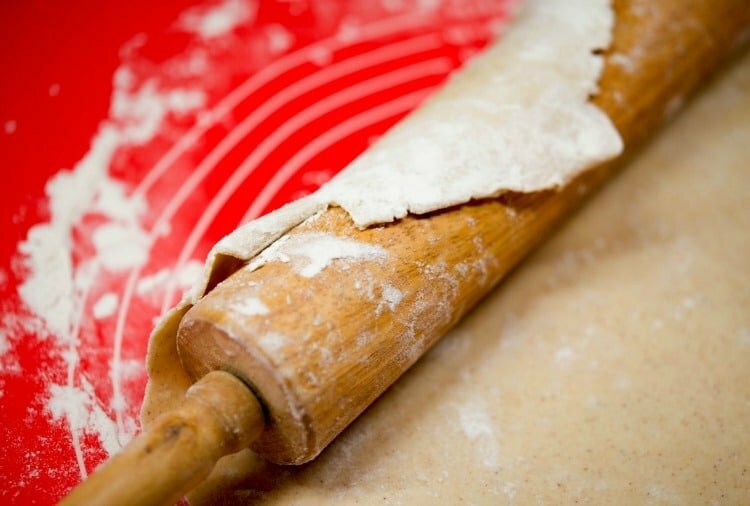 Divide the dough in half with lightly floured hands, wrap in plastic wrap and refrigerate for 1 hour until firm or overnight. Preheat oven to 350 degrees F and remove dough from the refrigerator. In a small bowl combine the sugar, cinnamon and walnuts. On a lightly floured surface, roll 1 disk of chilled dough into a rectangle; about 1/4-inch thick. Spread half of the sugar mixture on top of the dough and tightly roll the dough lengthwise; then cut into 1/2-inch thick slices. Bake for 15-18 minutes until they are lightly brown. To cool, transfer cookies to a wire rack. Repeat with remaining disk of dough. If you would like to help, Donate to Cookies for Kids’ Cancer today! 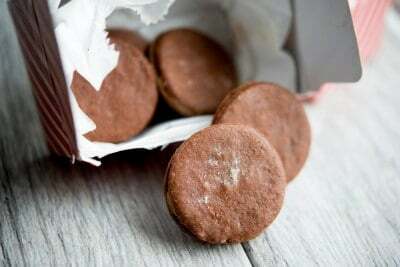 What are your favorite cookies to make during the holidays? Thanks Ronald, I hope you enjoy them. Happy Holidays! I’m so glad you like them, thanks for stopping by and Happy Holidays! So many great recipes. I want to try them all! these look too good! i want to make them!